Ontario Bakery: Did You Know That Eating Chocolate Adds to Your Health And Beauty? Did You Know That Eating Chocolate Adds to Your Health And Beauty? Chocolate is full of antioxidant rich nutrients that are necessary for healthy skin, hair, vitality and stress levels, which means you have the right to eat it daily! Great news, right? But before you reach for just any chocolate, know that “health” chocolate needs to be low in sugar, high in cacao and minimally processed. Why is chocolate good for your health? Chocolate is loaded with winning antioxidants. And what are antioxidants good for? They rid the body of free radicals; those menacing little molecules creating the havoc in your body responsible for aging, disease and even cancer! The antioxidants bond themselves to the free radicals and pretty much walk the plank with them to make sure they are disposed of properly. Other foods that contain antioxidants are pomegranates, blueberries, green tea, red wine, gogi berries; so can you believe that chocolate is right up there with them? 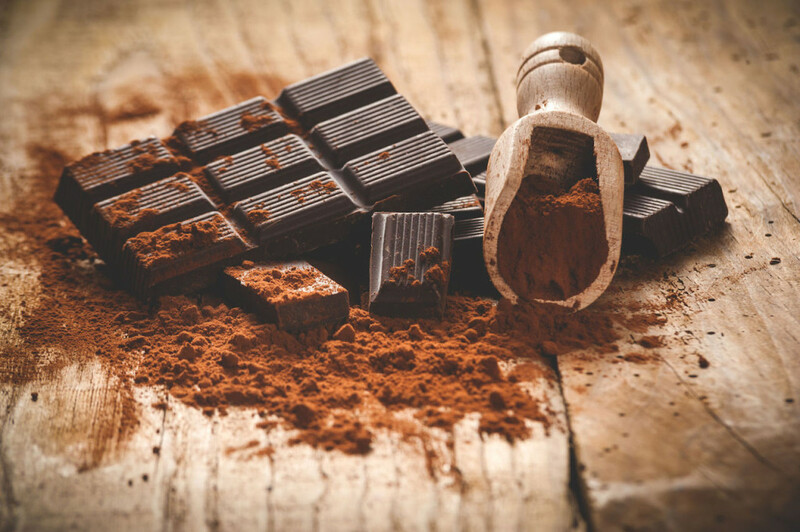 Cacao, the magic ingredient within chocolate also contains various essential nutrients needed to not just keep your insides happy but your skin and hair as well. Believe it or not, cacao has sun protection properties with the power to shield your skin from harmful UV rays, preventing sensitive conditions like sunburns and skin cancer. Regular dark chocolate consumption also helps you achieve that sought after smooth, problem free glow, as it keeps your skin moist and well nourished. No big surprise here, but chocolate is great at reducing stress! Dark chocolate boasts wonderful stress-relieving qualities and works wonders in getting you a glowing skin (more skin benefits!) by reducing elevated stress hormones. .....ah... dopamine! Lastly, let’s talk about what chocolate can do for your hair! Cacao is a great aid in promoting blood circulation in the scalp which leads to increased growth of healthy, lustrous locks, reducing hair loss. In addition to that, it's anti-inflammatory nature helps minimize the odds of getting scalp infections. Infused with the goodness of several hair-benefiting ingredients, dark chocolate improves the overall health of your tresses, making them shiny, sleek and voluminous. Now you know you can crave chocolate and reach for it! If you so find yourself wanting to indulge a little bit more into your sweet tooth and have a celebration to prepare for, please let us know! At Ontario Bakery we are always ready to make your life a little sweeter.